Well done to everyone who ran in the Little Aston 5 this morning. The men’s race was won by Nick Corker (Royal Sutton Coldfield AC) in a time of 27.21, with James Jefferson from West Bromwich Harriers in 2nd place in 27.36. The women’s race was won by Danielle Hodgkinson (Birchfield) in a new course record time of 28.26. 2nd place was taken by Natasha Blunt (Taunton Forever Running Club). The team event was won by Birchfield. Thanks to everyone who took part. The full results will follow. Elsewhere, our junior athletes are competing in the final Heart of England match at Leamington, whilst we also have Veterans competing at the Cup Final in Stoke and at the European Championships in Izmir (Good luck Rob, Fred and Donald!). 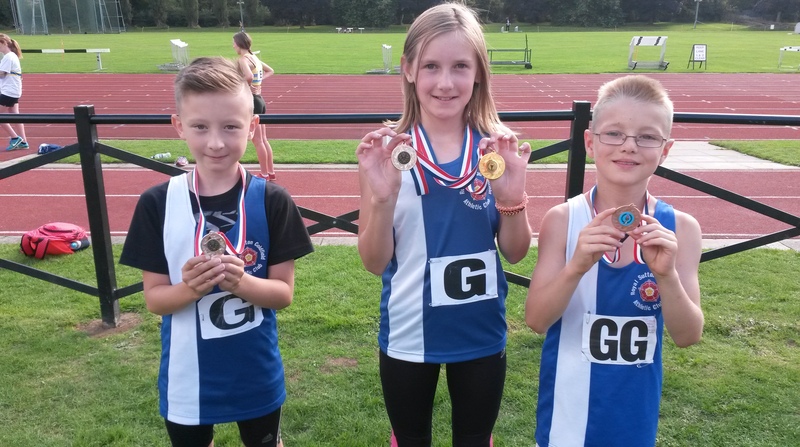 Please let us know how you get on – Tweet us at @Royal_Sutton_AC with your updates and photos. Have a great weekend everyone – Go Team RSC!! !